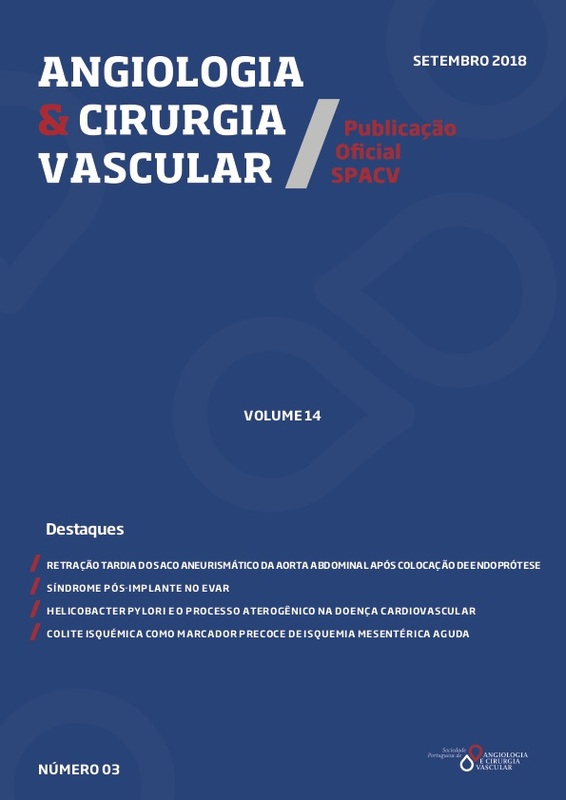 Angiologia e Cirurgia Vascular is the official journal of SPACV, the Sociedade Portuguesa de Angiologia e Cirurgia Vascular. It publishes peer reviewed articles is the official publication of the Portuguese Society of Angiology and Vascular Surgery. It is a peer reviewed journal that offers free publication and free access. Papers from all over the world are most welcome, namely from Portuguese speaking countries. We accept manuscripts in Portuguese and English. We are planning to apply for Medline indexation, so join us and take part in this project. Send us interesting case reports, your original papers and reviews. Letters to the editor will be published in short time and papers will be published online as soon as they will be accepted.